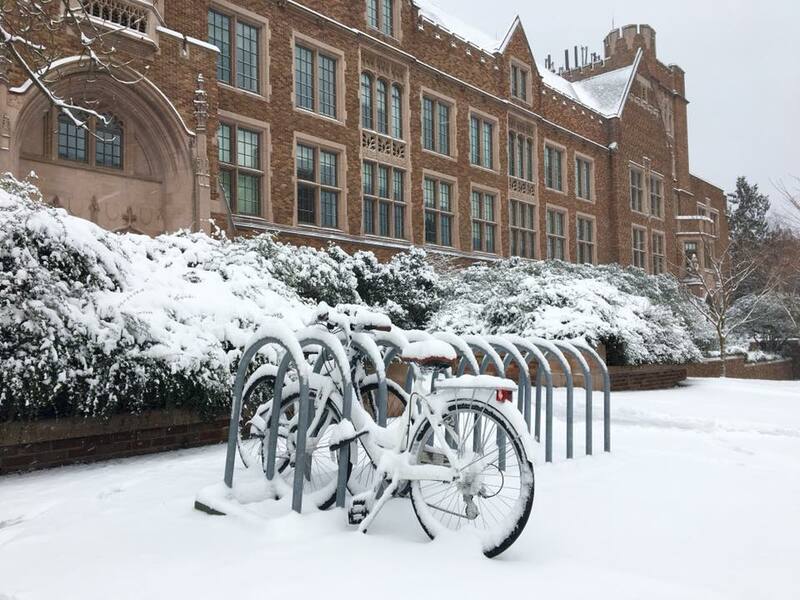 Though forecasts for Seattle predicted a trace to 1″ of snow, UW students, faculty and staff woke February 4 to 2″- 4″ of snow in Seattle (and up to 10 inches in the cities to the North and East). All three UW campuses suspended operations after an assessment of transportation conditions. The snowfall, coupled with strong winds and all-day below freezing temperatures and resulting icy roads snarled regional transportation systems and made travel throughout the region dangerous and difficult. Despite wide-spread traffic incidents, damage was limited and no direct fatalities were reported as a result of this lingering storm.